There is nothing like the feeling of moving into a new home. You have a new space to live in, a new community to get to know, a new drive into work. Plus, you also have a new canvas onto which you can import your favorite furniture, pieces of art and of course, beautiful design elements. Today, H.J. 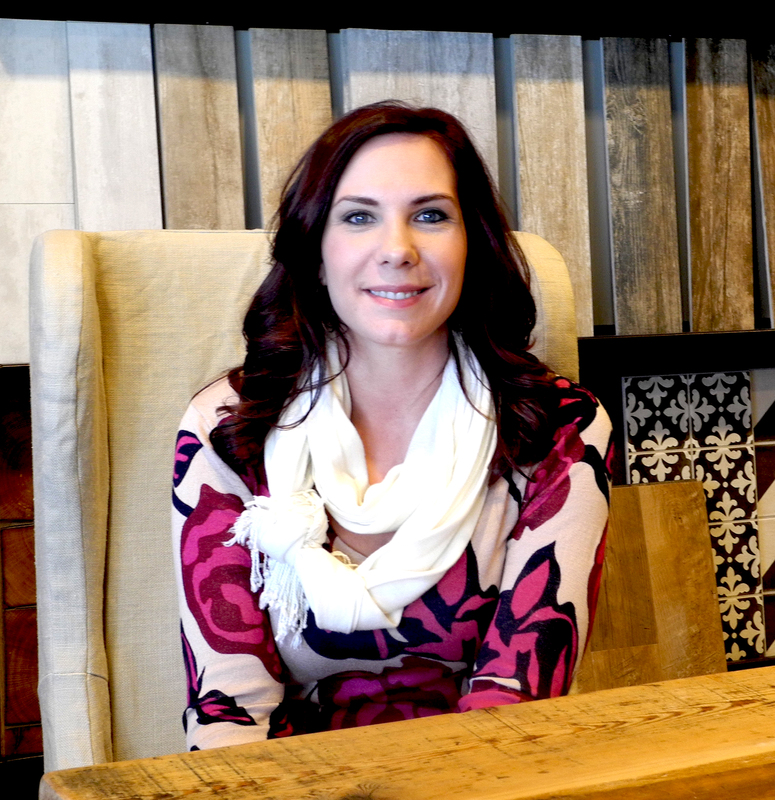 Martin and Son Green Bay Interior Designer Amy Gmeiner is going to spill all the details about her recent kitchen and living room remodel in her 14-year-old home! This (now) stunner of a home was a builder spec, and is now a beautiful retreat she is excited to return to each day! When Amy and her family moved into the house last fall, it quickly became her mission to change everything. The house’s location is what truly drew she and her husband Bob (another great H.J. Martin and Son employee) in, so they set a budget and prioritized what projects would come first. 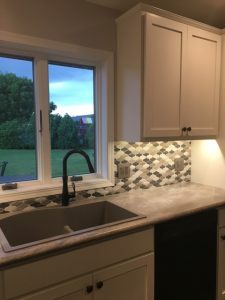 Considering the kitchen is the main space in the house, they started by re-doing their cabinetry, changing the kitchen’s layout and replacing the existing flooring. As with any remodeling project, there were necessary conversations about what features deserved updates now or later. 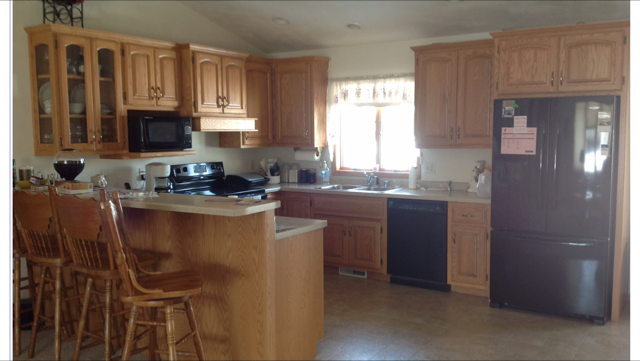 With the kitchen cabinets were completely redone, new countertops were also needed. The new cabinets were made to be a painted white for a classic look, give the space that clean and open feeling. The space needed some pattern, dimension and a splash of color, so a pretty porcelain tile backsplash, called Groovy Lantern, was installed in the kitchen. 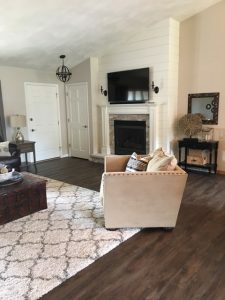 Originally, the main space had a combination of sheet vinyl, porcelain tile and carpet, which Amy decided to replace with a dark brown wide format luxury vinyl plank. 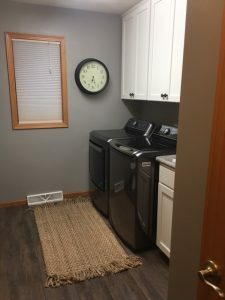 Carpet and tile were removed from the kitchen, dining and living area to accommodate the new flooring, which runs throughout the space and into the entryway and laundry room. “We definitely debated getting hardwood, but we have a busy household with pets and children, so we thought a luxury vinyl would stand up to the activity,” Amy said. She noted that dark floors do not actually make a space look darker, which is a fear some of her customers come to her with. Amy used paint to help her create the bright space she was looking for. 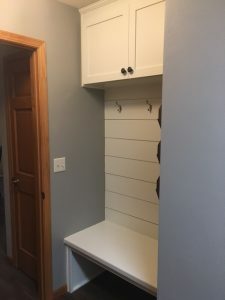 The walls were painted in variations of gray to balance the white cabinets and the dark floors. A really fun aspect of the room is the gas fireplace, but the wall lacked any sort of style or design. It was a great opportunity to create a focal wall. They removed the mantle and installed white shiplap from floor to ceiling, giving the fireplace the attention it truly deserves as a gathering space. They also had the original mantle painted white, and they replaced the surrounding tile with a pretty silver travertine stacked stone. New carpeting was also installed in the three bedrooms and luxury vinyl in a bathroom. The family is planning on doing even more work on the house in the future. “We knew when we moved in we would change stuff, but it is becoming a space we truly love,” Amy said. Her inspiration for her home was Pinterest and her work background of being a designer. Amy and Bob have now done remodeling work on three homes, which helps them work better with and understand their customers at H.J. Martin and Son. For more information about H.J. 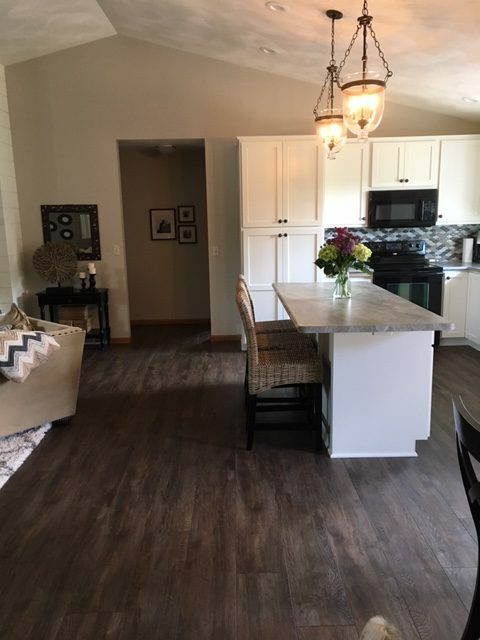 Martin and Son or remodeling ideas and design trends, contact Amy today or visit a designer in our Fox Valley or Green Bay showrooms!